The art scene in the midwest throughout the 50s and 60s was a sad state of affairs. I went to “the” art museum in Wichita a number of times and I wasn’t impressed with the works I saw there. In the early 70s, after moving from Kansas to New York to go to theatre school, I discovered a number of artists who changed the way I look at art to this day. Warhol was one of those artists, as was Rauschenberg. Egon Schiele was one, as were Michael Palmer, Ted Hughes, Cy Twombly, Mark Rothko, and Mary Sims. The artist who had the most profound influence on me, though, was Toko Shinoda. I’d been used to seeing paintings and prints with imagery and color edge-to-edge. Shinoda introduced me to the power of Yohaku: the white space, the negative space that helps create and support her visual compositions. Her paintings and prints introduced me to the power of delicate, meaningful lines executed by an artist with a sure, powerful stroke. 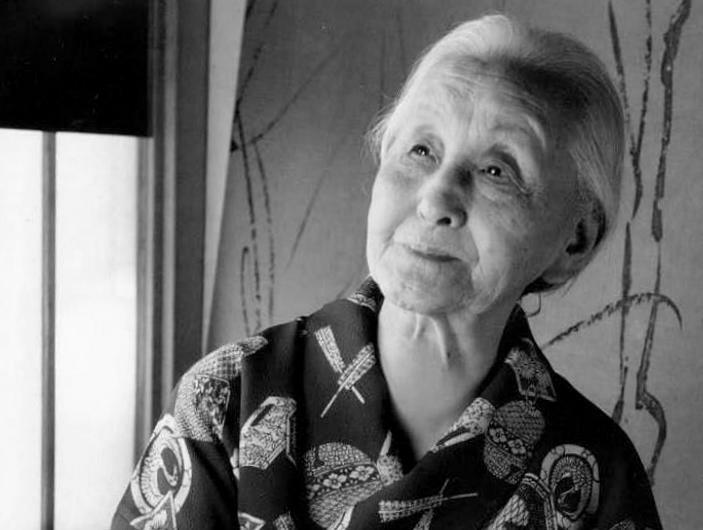 Born in 1913 in Manchuria, Shinoda was 58 years old in 1971, but as I learned about her work it all seemed as new as the new decade and fresh and clean. And, astonishingly complex. 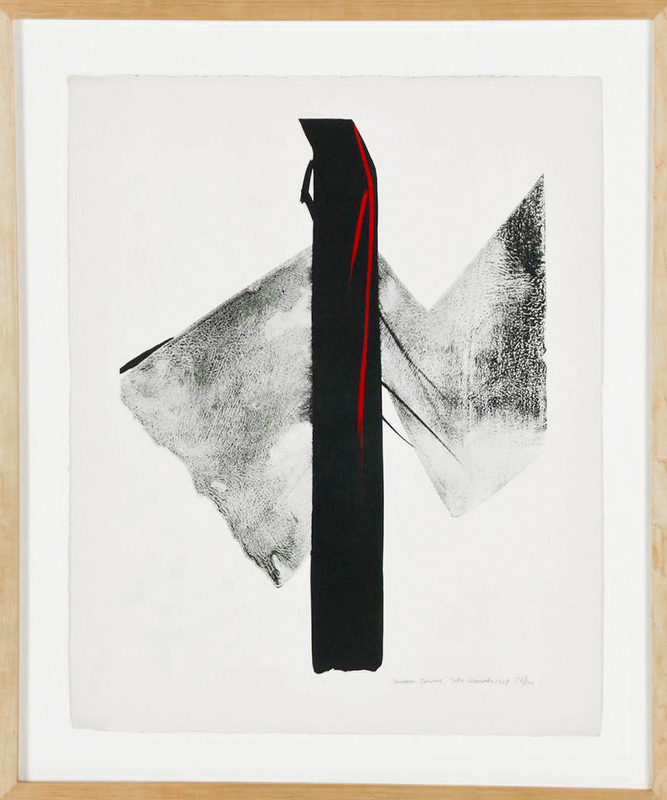 Toko Shinoda is 102 years old and still creating art; Jacob and I just purchased one of her 1968 works, Unknown Forms. Toko Shinoda (Japanese, b. 1913) Unknown Forms, 1968, Size: 22.25″ x 18″, 57 x 46 cm (irregular sheet); 27.25″ x 23″, 69 x 58 cm (frame). Her birthday is March 28th.